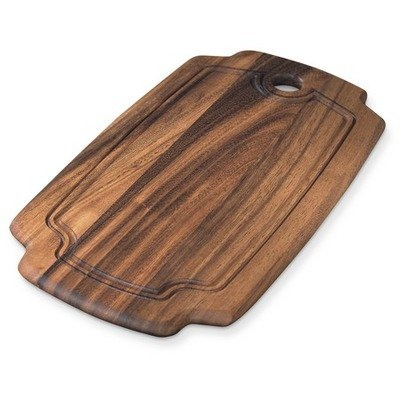 Nice-sized carving/cutting board for smaller poultry, roasts, fruits, and more! Made of beautiful and durable Acacia Wood. Juice wells around edge keep liquids from running off board. Use to serve foods also. Measures 15" x 8". Hanging hole for easy storage.